George was found outside so had missed the early part of socialising .He doesn’t mind being stroked & is a big purr baby .He will need to go to an experienced home where there aren’t any children under 10 yrs .With Patience & love he ‘ll come around like his siblings have . Hi ive just noticed your web page…Im looking for a cat /kitten , Ive just noticed little george..Id love to find out more about him…I live on my own in a cosy one bed massonette with a garden..
Hi Natalie ,George has been homed but we have a couple of ginger boys who arrived yesterday .Do you have a cat flap ? have you any other pets ?Do you live on a main or very busy road ? Hiya is George still available? Hi I am interested in adopting George if he is still available. My husband and I live on our own as our children are grown up and living away. 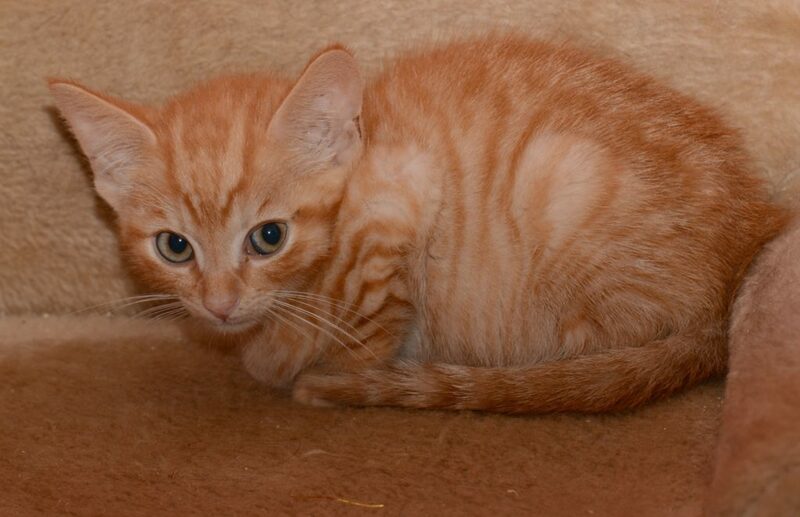 I have been looking for a ginger kitten to adopt for a long time having previously had a ginger cat for 14 years. Hi, we’re looking for a cat to adopt, we have a 10 year old Springer who’s good with cats as he’s been brought up around them since puppy-hood. I was wondering if you know anything about George’s experience with other dogs? Please call us asap on 07779717928 or 01209 821173 to discuss rehoming George or the 3 kittens that you were expecting into the shelter last Friday. We’ve rung and text a few times and I understand that you’re busy but it would be great to have an update on what’s going on.